Guwahati: Laggards NorthEast United FC snapped a four-match losing streak with an upset 2-1 win over fancied FC Goa in an Indian Super League (ISL) football fixture on Saturday. The Highlanders, who sacked coach Joao de Deus after a 0-5 drubbing at Pune City and roped in former Chelsea manager Avram Grant as their technical director, looked a transformed unit. 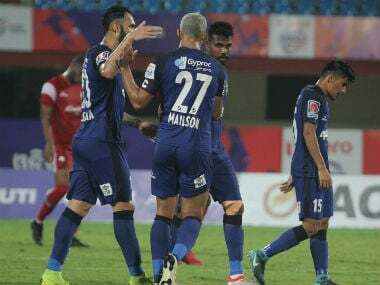 They took a 21st minute lead through Marcinho's super first-touch finish but the game was brought to an even keel within seven minutes with Manuel Arana equalising for the Goans. The Highlanders snatched back the lead in the 52nd minute through Seminlen Doungel who scored his first goal in the ISL with a cute finish from Marcinho's through ball from the centre. 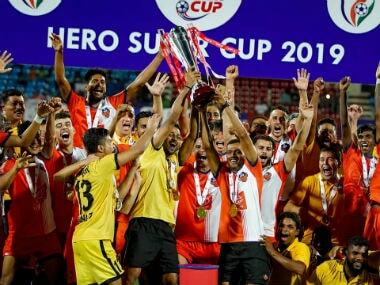 Doungel found himself on a one-on-one with the Goa goalkeeper Laxmikant Kattimani who came charging in as the Manipuri chipped it over him with an elegant finish. Having dropped points against ATK in Kolkata, FC Goa suffered their third defeat, and two in three matches, to have 13 point from eight matches. The Highlanders should also give credit to their goalkeeper TP Rehenesh who parried away a powerful Arana shot in the 76th minute from a curling cross off Manuel Lanzarote. NEUFC had a positive start and secured their first goal at home this season from their number 10 Marcinho. A long ball was played to Danilo Cezario in the box on the right as he held the play well before floating in a lovely ball at the feet of Marcinho who trapped it with his left. The NEUFC forward turned and poked it towards goal with his left as the ball took a deflection of Ahmed Jahouh and hit the inside of the right post before going to hit the back of the net. NEUFC looked to double the lead through Cezario a couple of minutes later but Kattimani made a brilliant save. 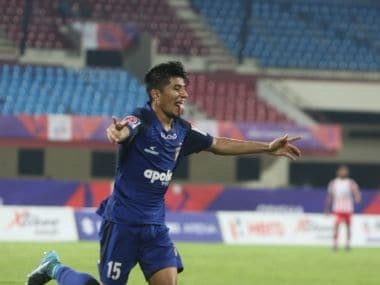 Goa however did not give up after conceding the lead and brought up the equaliser with a well-timed cross from Pronay Halder on the left. Jose Goncalves mistimed his kick as Arana slotted it home from an acute angle.